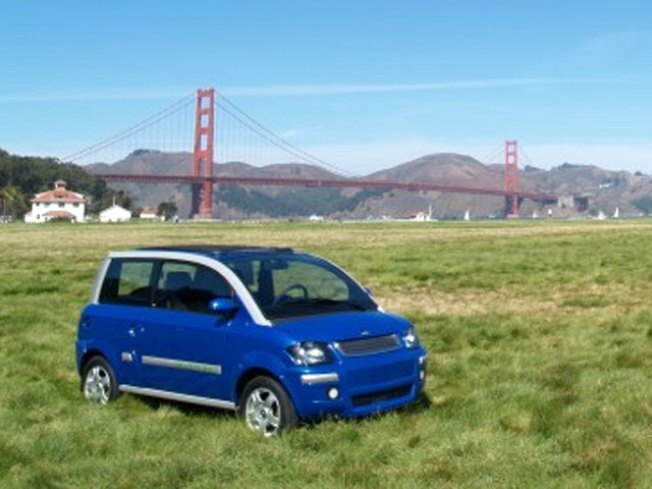 The Zenn car gets its name from: zero emissions no noise. More and more electric car dealers keep popping up in the Bay Area. Most are a lot more affordable than the six-figure Tesla electric sports car. The fully-electric Zenn is the latest addition to the green car market. The name Zenn comes from "zero emission, no noise." The cars are made in Canada, are powered by battery and have most of the features you'd find in a normal car. But with a $15,000 price tag, they make an affordable alternative if you're looking to go electric. "There's nothing to service really in the vehicle," Zenn Motor CompanyCEO Ian Clifford said," You don't need a tune up, you don't need oil changes, you don't need an emissions test, obviously, so it's just a very efficient way of driving through our cities and our neighborhoods." The Zenn has a government mandated top speed of 25 miles per hour and a range of 40 miles. a faster, longer-range car is planned.